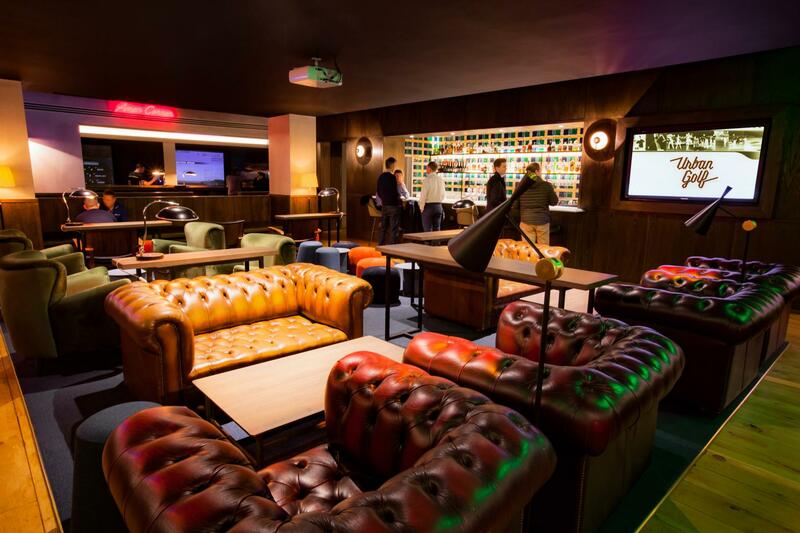 Urban Golf Smithfield is a truly unique space, making it an ideal venue for a whole host of events from breakfast meetings and conferences during the day to corporate and private parties in the evening. 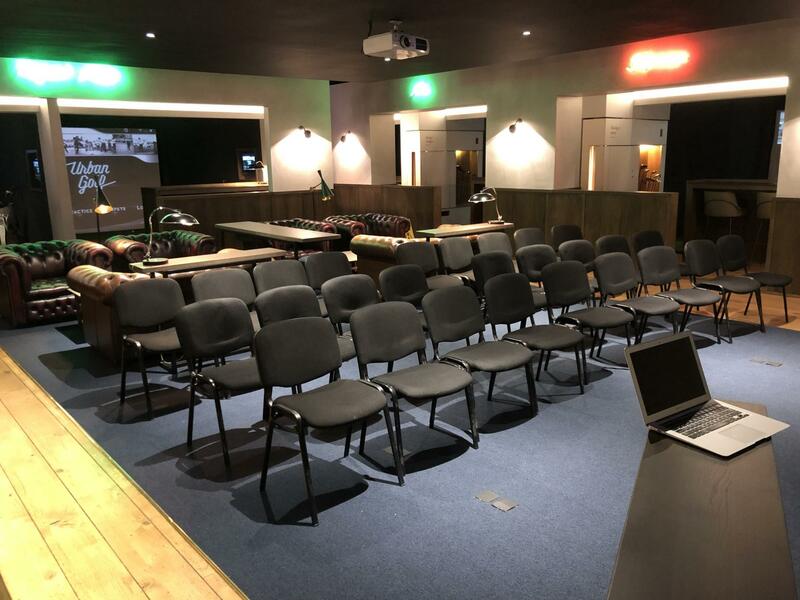 The stunning and spacious lounge area has the capacity to seat up to 60 guests in front of a huge 15ft screen with HD projector and PA system, perfect for presentations. 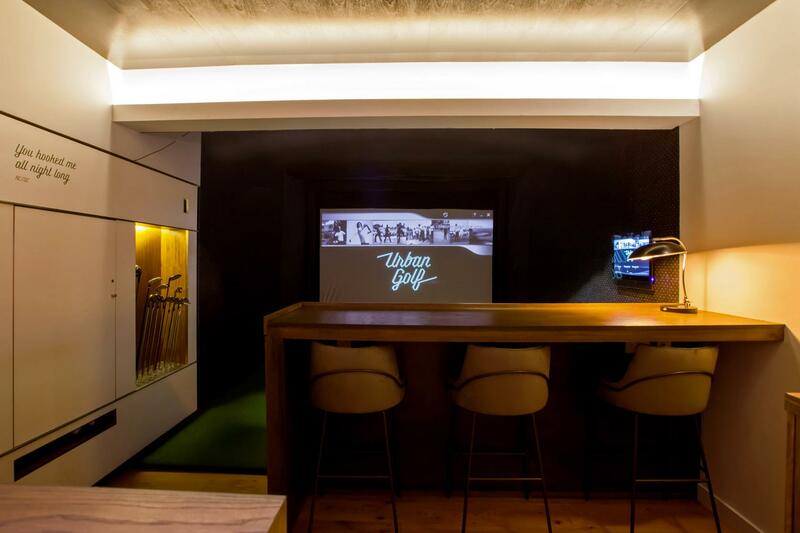 Surrounding this area, the venue boasts 11 state of the art aboutGolf simulators, ideal for breakout areas or the added option of a team building activity. 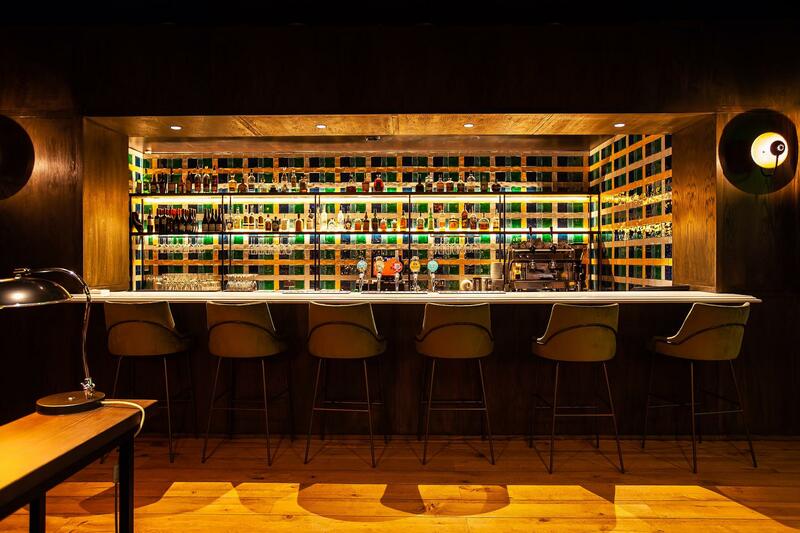 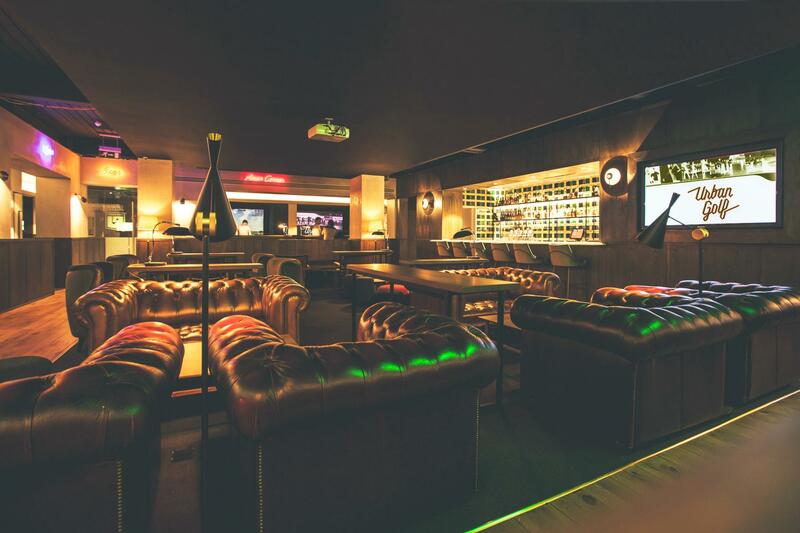 There is a fully equipped bar, serving a wide selection of craft beers and ales, premium spirits and cocktails. 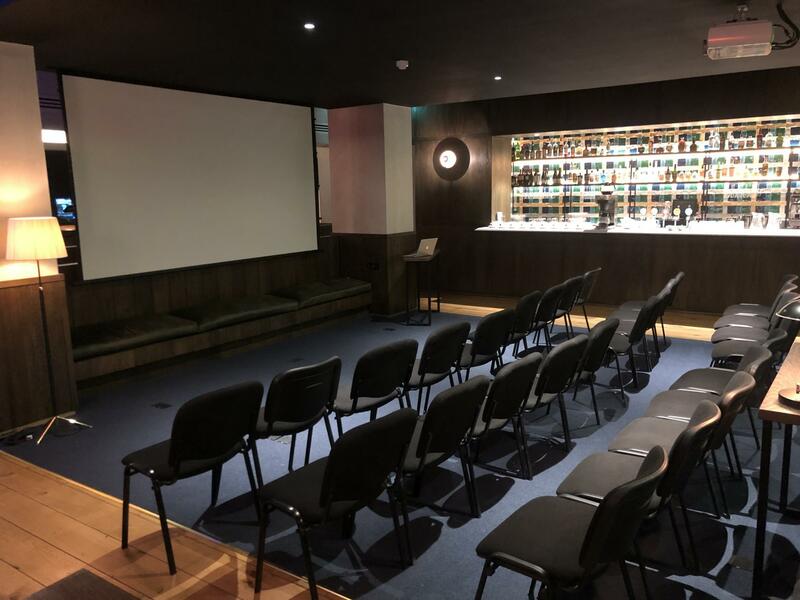 Our Royal Smithfield venue, located near Farringdon station, is a beautiful open plan venue with a spacious lounge area situated in the centre of the main space. 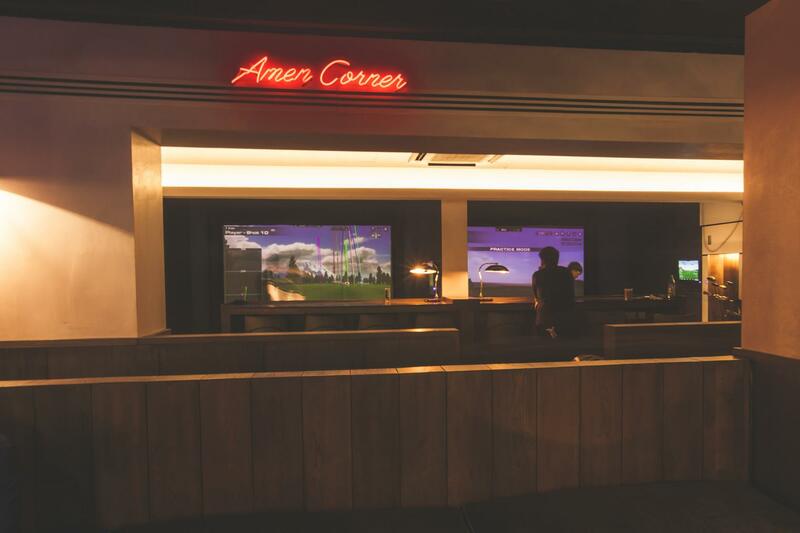 Surrounding this area, the venue boasts 11 state-of-the-art aboutGolf simulators and a fully equipped bar, serving a wide selection of craft beers, premium spirits and cocktails.